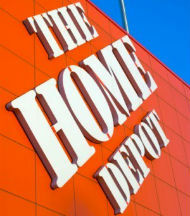 As a home improvement retailer The Home Depot’s success will always be tied to the ebbs and flows of the housing market. And with new home sales at their highest levels since 2007, the past year has been a rousing success for the retailer. In fact, in 2016 The Home Depot posted its highest sales and net earnings in the company’s nearly 40 year history, growing revenue by 6.9% to $94.6 billion. But it wasn’t just the strong housing market that fueled The Home Depot’s banner year, but rather a dedication to its omnichannel capabilities, or what it has dubbed interconnected retail. The company’s investment in its digital capabilities is paying big dividends as its online business grew by 19% year-over-year, and now represents nearly 6% of total sales. While its digital business continues to grow, The Home Depot’s bread and butter has been and will continue to be its stores. In fact, nearly half of all U.S. online orders are picked up in-store, highlighting the success of the brand’s interconnected retail strategy that is blurring the distinction between digital and physical retailing. The retailer continues to build its flexible fulfillment capabilities, leveraging its 1,900-strong, brick-and-mortar network to meet shopper demand for quick and seamless fulfillment. To meet shoppers’ demands for flexible fulfillment options in Q4 2016 The Home Depot complete the roll-out of its buy online deliver from store offering. The new service was built on top of the retailer’s new customer order management system which it rolled out chain wide in Q2 2016. “We're pleased with the positive customer response to this enhanced delivery option, which streamlines the delivery experience for both our customers and our store associates,” Menear said.